MIMO Blaster Camp Pete Party TOMORROW! Free Memberships! Let's do a Rockin aswesome Camp Peter PArty tomorrow! Just like last time check out this awesome offer! When ever you become an MVP member, you first start out as a FRESHMAN, then over time you can advance to SOPHOMORE, then JUNIOR, then SENIOR then PRO. If you sign up as an MVP at Camp Pete at Mimo Games You will START as a PRO! Which means you can buy ANYTHING at the Sports Shop. There are a ton of other cool things you get by being pro. YOU GET THE MIMO BLASTER! WOOT! Remember back when we had the Mimo Blaster party? If not check out this video. Here is a map. 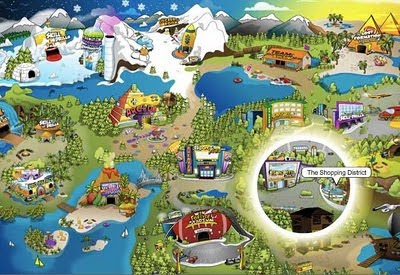 The circle is where the Party will be. Let me know if you become a Camp Pete MVP and I'll make you a PRO! ALSO I WILL BE GIVING AWAY TWO FREE ONE MONTH MEMBERSHIPS! You all know how awesome Chobots is right? Well they have made a cool new magical social networking Role Playing Game (RPG) for TEENS! 7WIZARDS is a very different, very cool new idea! I have been playing it for a few days and I really like it. 7Wizards is NOT a virtual world! 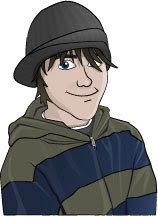 7Wizards is a role playing game where you can add and chat with friends! 7Wizards will let you own freaky cool pets! You get famous by being a TOP WIZARD! You join clans! Wanna make a Mimo Clan? You can battle other players! OUCH! Check out this video about 7Wizards. I've heard there will be elves on 7Wizards soon! 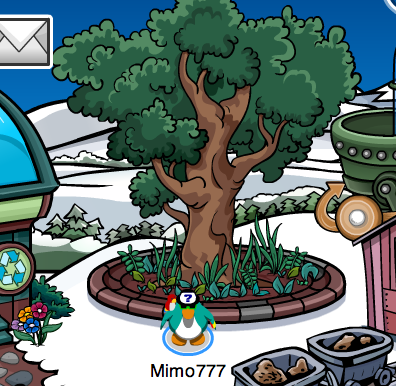 My name is Mimo on 7Wizards! Here I am! If you find me I will add everyone as a friend! 7Wizards has unlimited friends! A brand new event called the Mountain Expedition is coming soon. And it'll have LOTS of surprises for members. Check out the items at the Gift Shop soon for gear! 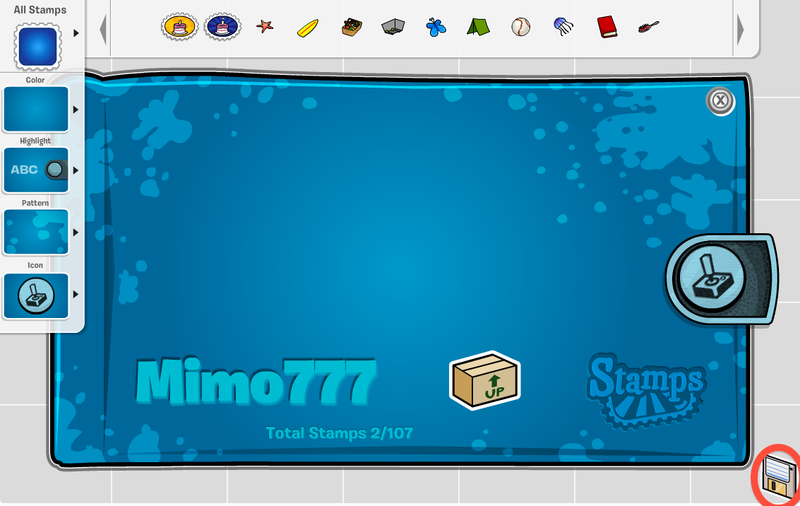 And finally, something that everyone can look forward to... More stamps! There are lots of surprises set for next month - so let us know what you think they may be! 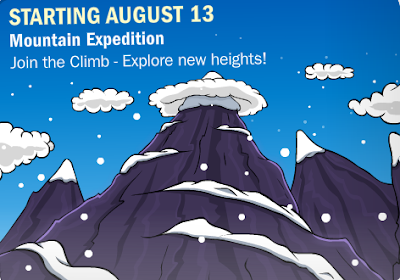 I think the Mountain Expedition sounds awesome, don't you? There are LOTS of really cool new back to school stuff, books and Series 9 toys. 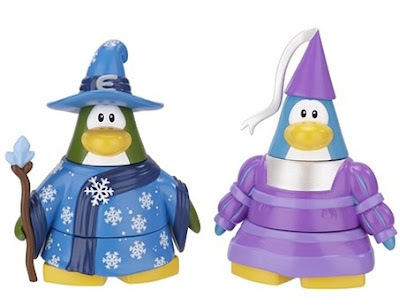 You can check them all out at clubpenguintoys.com! 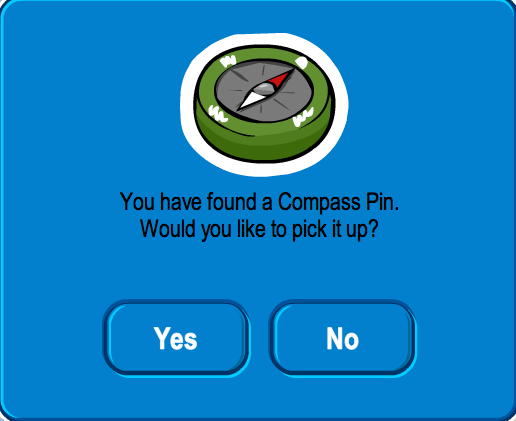 Here is how to find the new Club Penguin COMPASS PIN cheat. Step 2. Now go to The Plaza. Step 4. 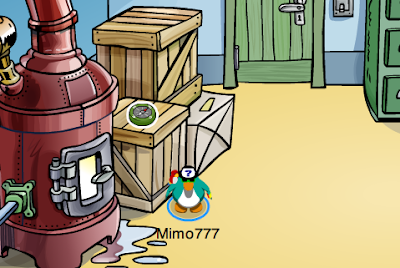 Now click the green door and go into the Boiler Room. Step 5. Now click on the pin! Wha? 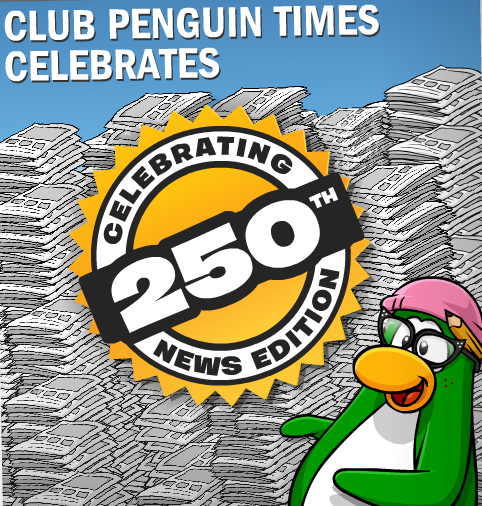 No 250th Newspaper pin? Hmm, I guess we will need this compass for our Mountain Expedition, huh? Want the Mimo Pin Finder? Click here! Whoa! Have you been to the Community Garden lately? The tree is growing again. "I've collected a lot of pins over the year. And they're all so great. But, I prefer a special one. Like the recycle pin! It's a small symbol, but it changes the world by a %100. I'm pretty sure it's made out of recycled stuff from the recycle center near the mine (; Each pin, I have stands for something. So, I try to wear a new one everyday to show my 'pin-spirit'!" 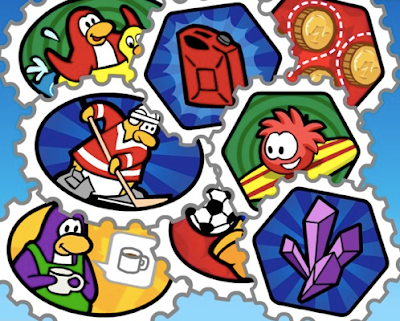 With everyone's excitement for the new stamps, for next week's review, Club Penguin wants to know what new stamps would YOU like to see added? Let me know what cool stamps you want to earn! Play super awesome FAST FLOOD! Saweet! Check out what my friend Bryan Omar found! 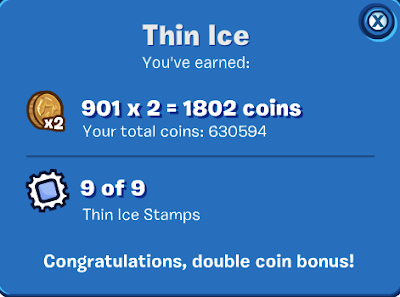 When you earn all the stamps for one game, you get a DOUBLE COIN BONUS! Great cheat! So get out there and earn those stamps! Let me know if you find any other bonuses, k? 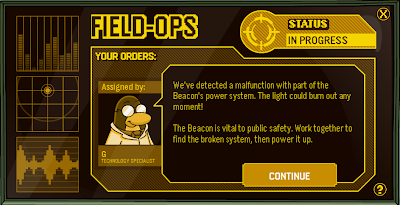 This weeks Club Penguin Field Op is here! We must save the Beacon's power system! Step 6. Go to the Beach. Step 7. Go into the Lighthouse, up to the Beacon and go up to the light switch. Your spy gadget light will turn green. 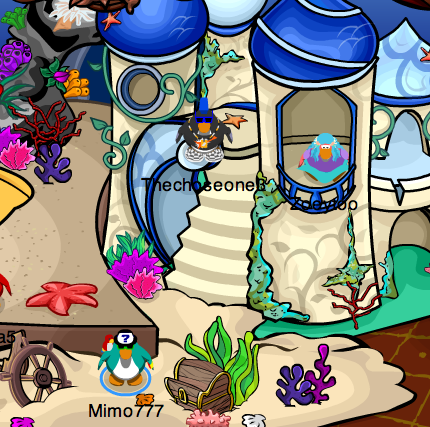 Thanks to all the zillions of penguins for telling me the Field Ops was out! I was... gone...on a secret mission. I will tell you about it on Twitter tomorrow. 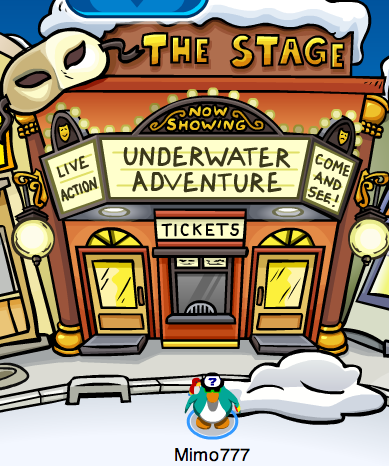 Yep, just as promised, Club Penguin has updated the games so we can earn stamps. And now many games have levels that are for members only. Are you upset by any of the new member only updates? Or, is it not really a biggie? 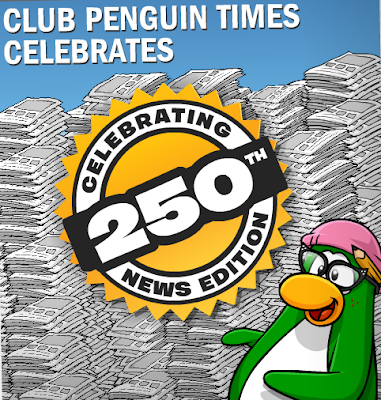 Club Penguin Stamps are here! 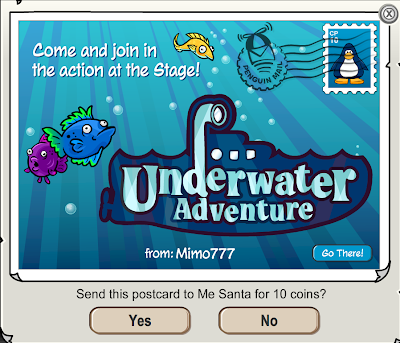 Click on your player card and click the stamp icon at the bottom. There are 11 pages of stamps for Events, Characters, Activities, Games, & Pins. 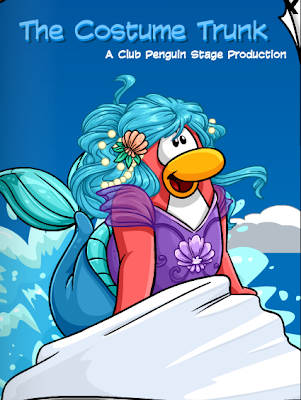 Check out this mystery page! It is the last page in the Stamp Book! 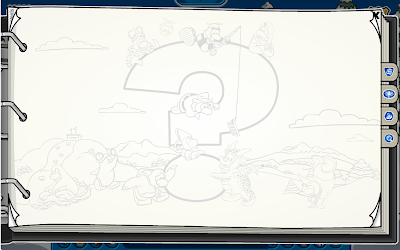 What do you think this page could be for? 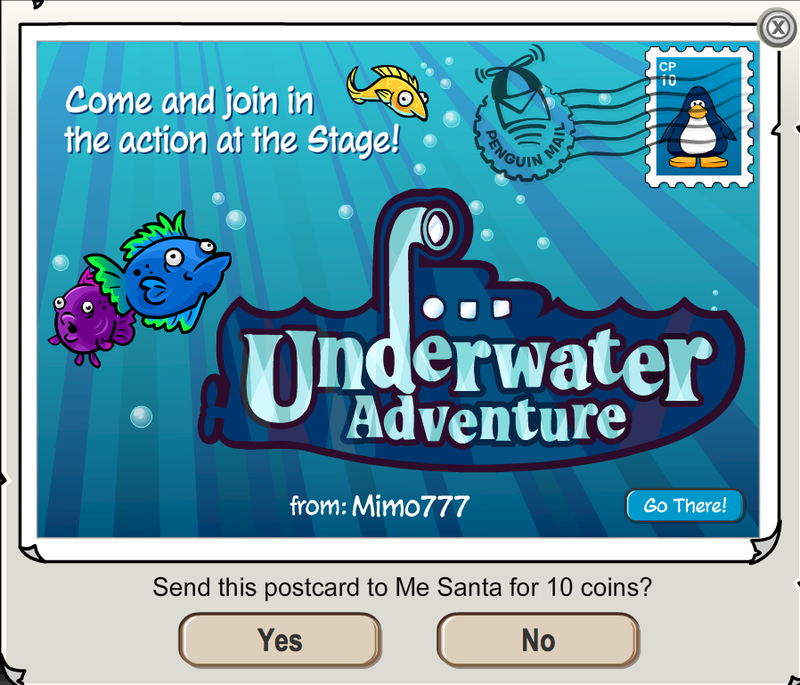 I'm guessing you will earn something REALLY cool if you get ALL the stamps! 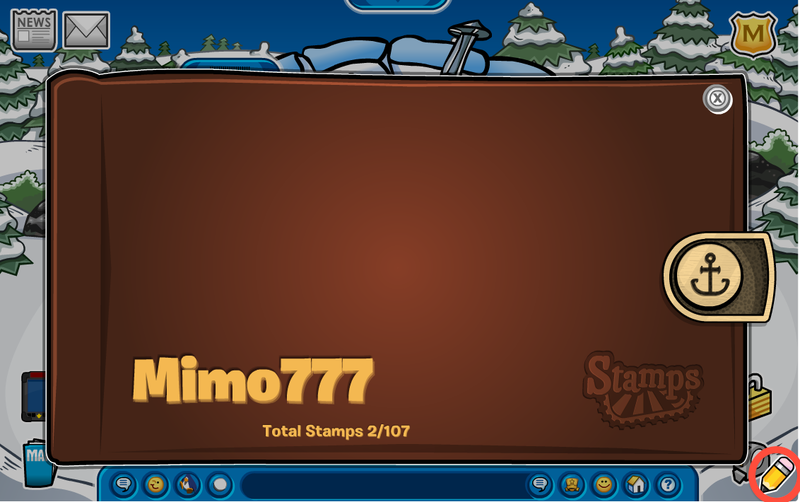 If you are a member, you can customize your Stamp Book by clicking the pencil in the lower right hand corner. 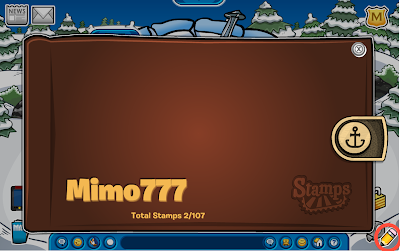 Make sure you click the disk in the lower right corner to SAVE your Stamp Book! Let me know how many stamp you earn today, k? Click here to be my friend on Facebook! 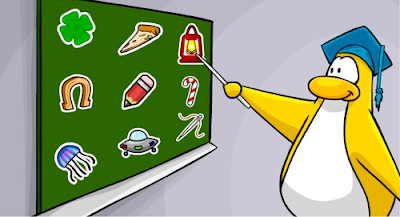 First let's talk about Club Penguin Stamps. Stamp are new to Club Penguin. They come out on Tuesday! Stamps have to be EARNED. You can earn them by doing things together with your buddies. 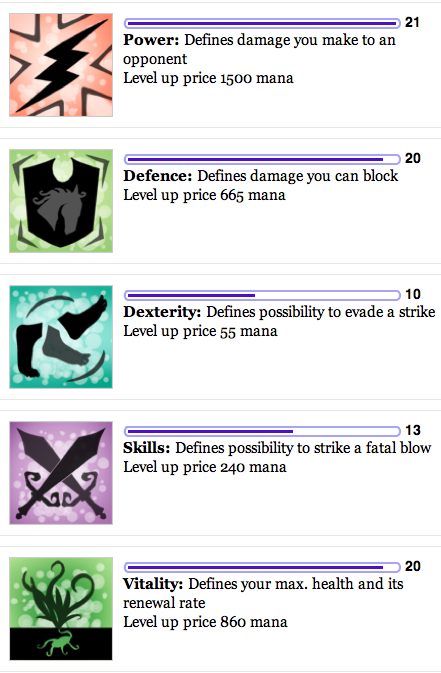 You can earn them in games. You can get them at Club Penguin events. Some are easy, some are hard. 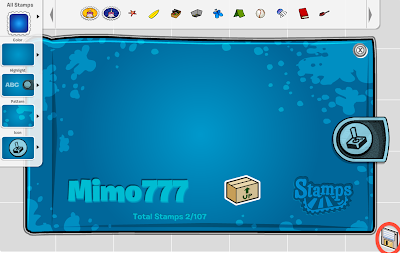 The cool thing about Stamp are that you can put them in the new Stamp book! 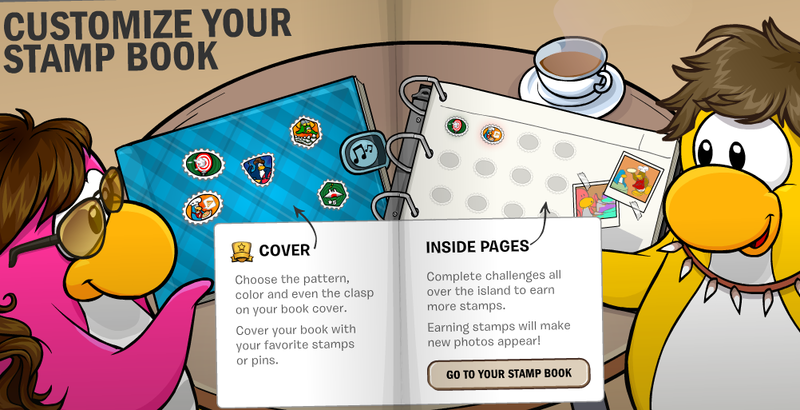 Which is awesome because members can customize their stamp books. Now let's talk about Pins. Pins are old, way old. 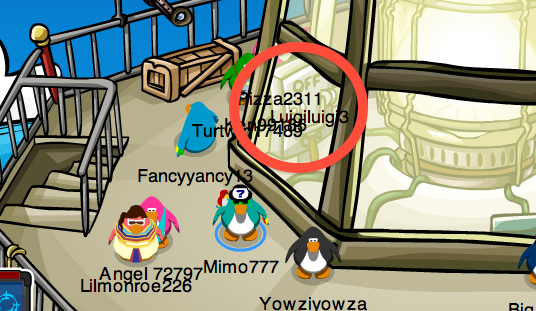 They are as old as Club Penguin! Here's how you get pins. 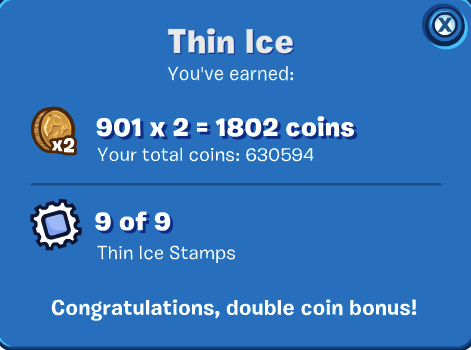 A unique collectable pin is hidden somewhere on the Club Penguin island every two weeks and NEVER repeat. Click here to put a cool Pin Tracker on your site! Do you have to earn pins? Well no you just have to find them. They used to be small and kids thought they were hard to find, but now they are bigger and much easier to find. 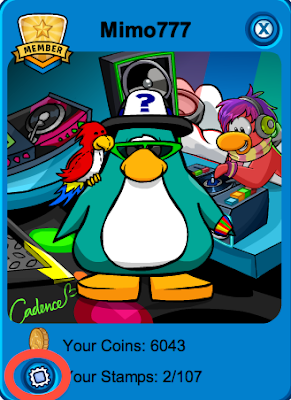 You can display your Club Penguin pins on your player card, but just one at a time. Check out my very own Virtual Lounge! "I personally like all of the positions, but i like playing the tuba. The tuba is so unique because it's THE BIGGEST INSTRUMENT EVER! I also like rocking out with the tuba because all my friends laugh and pretend to throw tomatoes at me. Then, i have to run backstage with my big tuba. Then we take our instruments and go to the pizza parlor for candy pizza!" With the new Stamp Books coming soon, Club Penguin would like to know for next week's review which pin you have collected is your favorite? 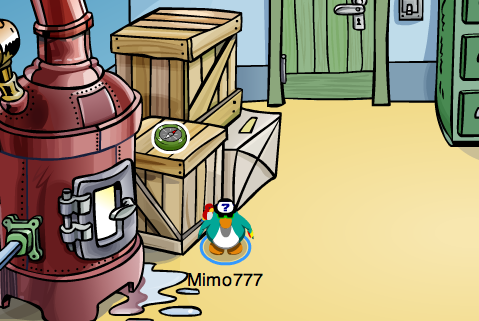 Hmm, I think I like the cardboard box pin the best! Which one do you like? Play SPEED FOR STAR! Very Fun! The Underwater Adventure has returned to the Stage! Let me know how you like the play, k? 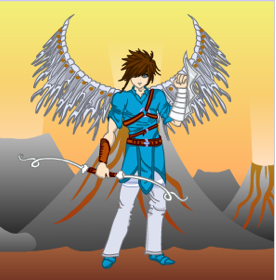 Try Cool Virtual World OurWorld!